This housing for thermal camera provides the vision also in complete darkness, fog, rain, smoke or for long-range distances. 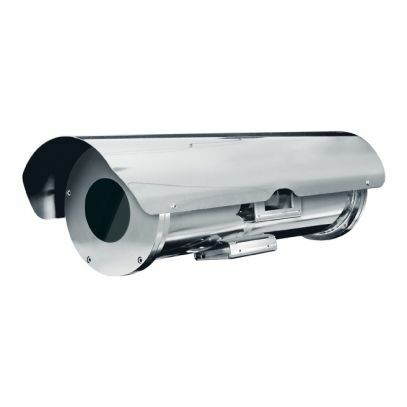 It is possible to use this housing for a wide range of high-security surveillance systems, such as: monitoring and rescue in the event of a fire, public safety, along with airport, industrial and environmental surveillance. The germanium window has non-scratch treated, Hard Carbon Coating (DLC) on the outside and antireflection inside; the spectral range is from 7.5μm to 14μm. The big dimensions of this camera housing make it suitable to contain the largest zoom lenses of the market. The NTL housing can be installed on NXPTH Pan & Tilt head, to obtain a complete positioning system.